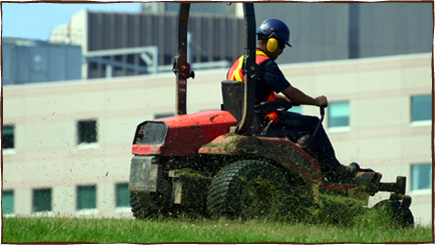 Unlimited Landscaping offers a complete line of industrial grounds maintenance services. Managing a business is a lot of work. The last thing you need to worry about is the parking lot and grounds outside your building. But that's the part your customers see first! Let Unlimited Landscaping make the first impression be a great one! Unlimited Landscaping helps your business create and maintain an attractive and professional site through our industrial lawn care services. From mowing, mulching and fertilizer to pruning, we will develop a customized service plan to match your needs.